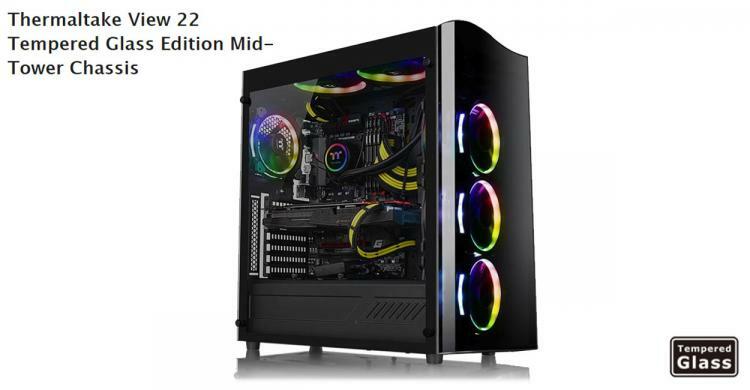 Thermaltake announces the new View 22 Tempered Glass Edition Mid-Tower chassis featuring the elegance of a large tempered glass side panel and a streamlined front panel. 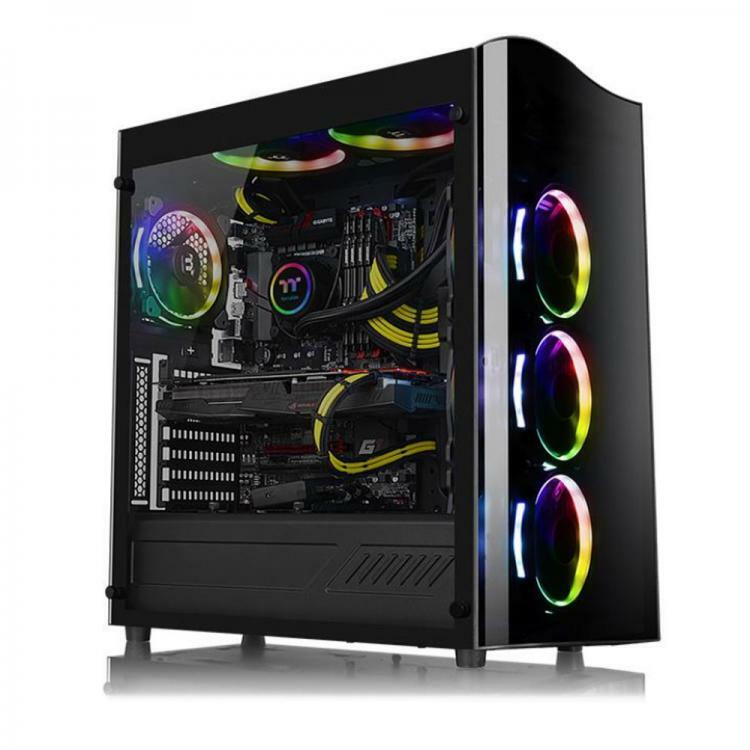 The Thermaltake View 22 TG packs all the premium features an enthusiast case must have which includes custom liquid cooling hardware support, modular and tool-free installation, great expandability to support high-performance hardware and superior cooling capability. 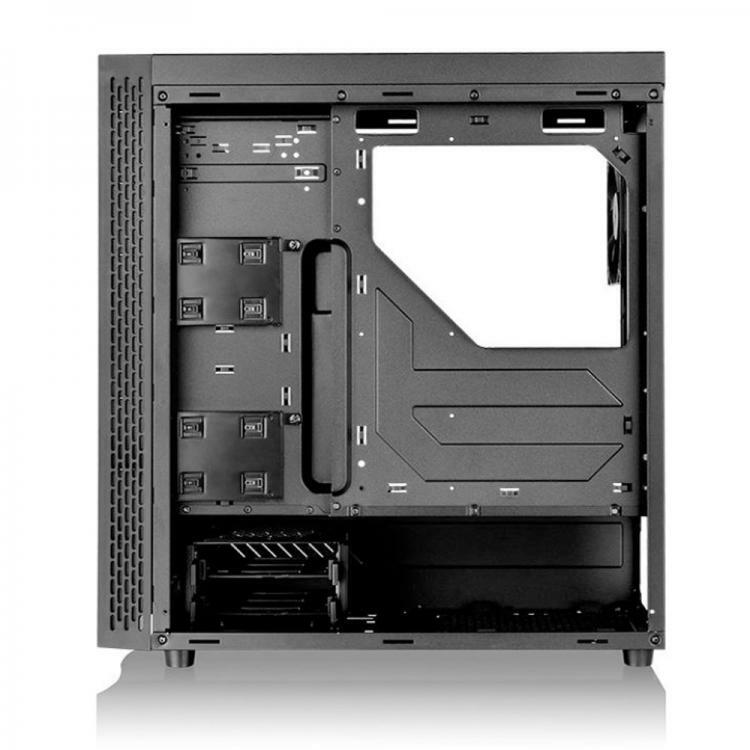 Even with the View 22 TG coming in as a mid-tower chassis, it can support a full-length ATX power supply, up to 360mm large radiators for custom liquid cooling and dual graphics cards with lengths of up to 400mm. 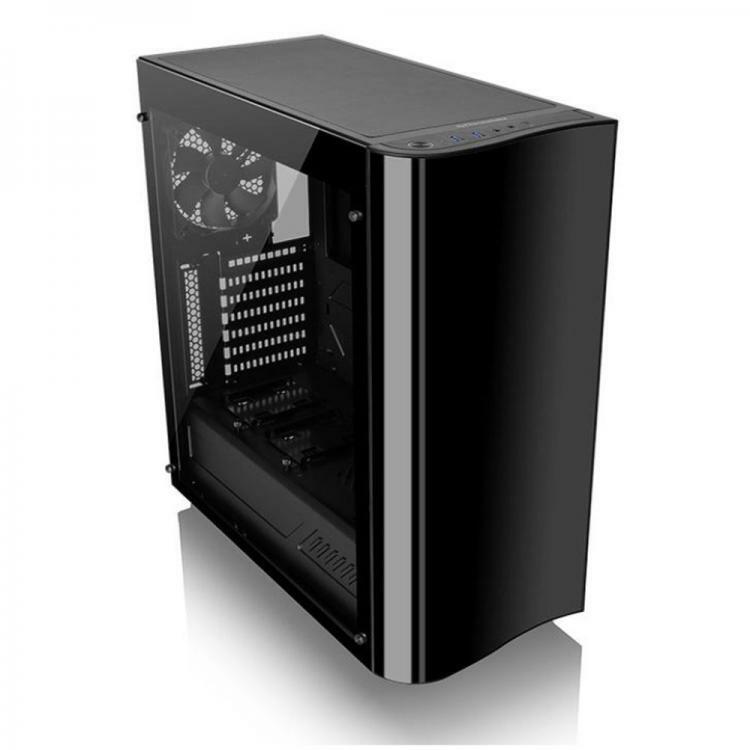 The Thermaltake View 22 TG case offers a great balance of performance and aesthetics. 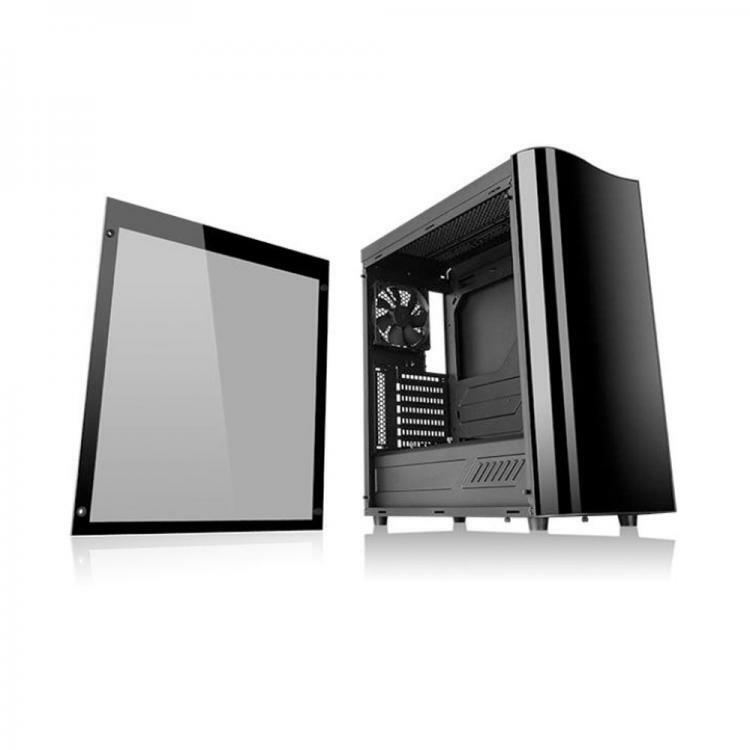 Thick Tempered Glass Panel – The View 22 TG uses 4mm-thick tempered glass panel to ensure durability and view quality. Tool-Free Installation – Quickly install and dismount drives using the tool-free modular drive cages which can be removed when unnecessary to free more space. PSU Cover – The View 22 TG sports a PSU cover to hide the cable and improve interior aesthetics. Hardware Support and Expandability – The View 22 TG boasts its superior hardware support. 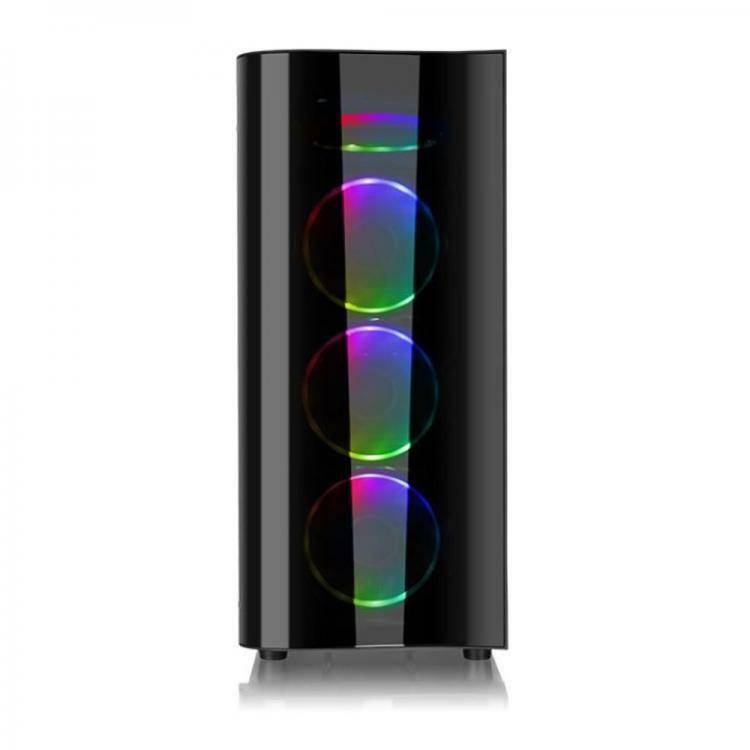 Up to 160mm tall CPU coolers, 400mm long graphics cards, 360mm large radiators and multiple drive mounts. Superior Cooling – The View 22 TG chassis can support up to two 140mm or three 120mm cooling fans in the front and a pre-installed 120mm fan at the rear. For more information on the new Thermaltake View 22 TG mid-tower chassis, visit the Thermaltake website.